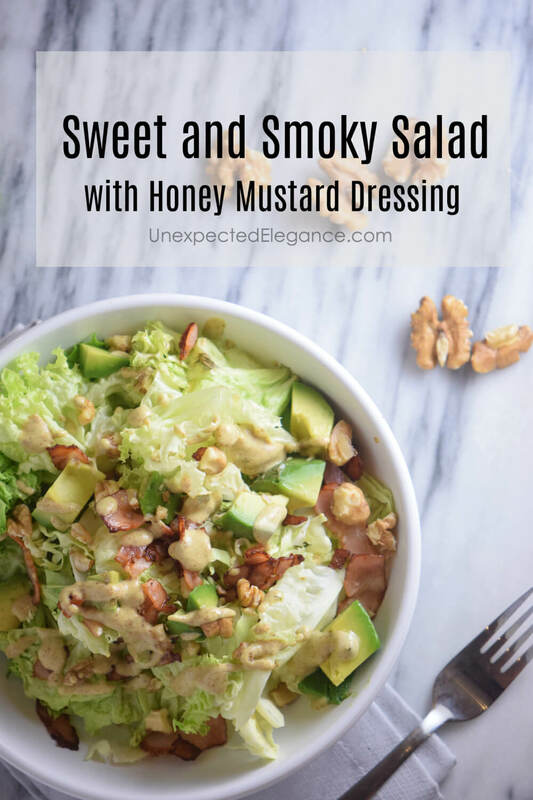 Check out this simple and delicious salad with homemade honey mustard dressing. The sweet and smoky flavors are the perfect combo. Sometimes I just crave a good salad, especially in the summer when everything is fresh and in season. There’s something to be said about a simple salad. Making everything fresh doesn’t have to take a lot of time. 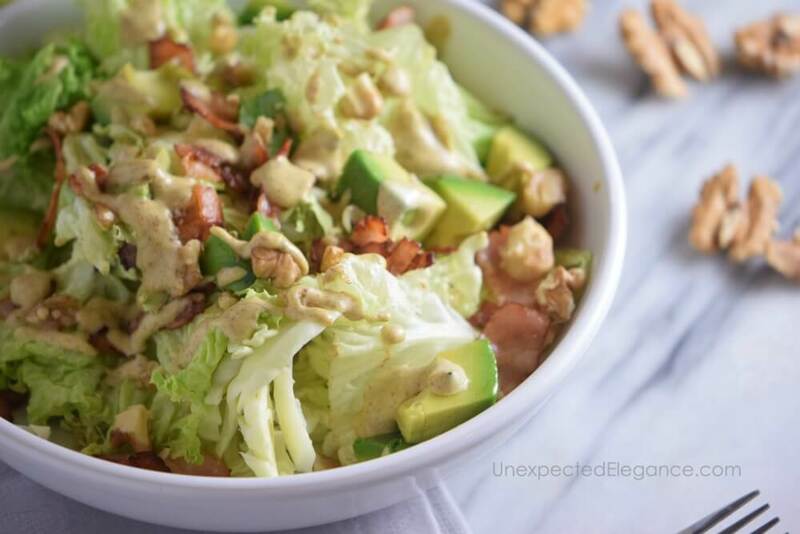 I love this simple sweet and smoky salad. 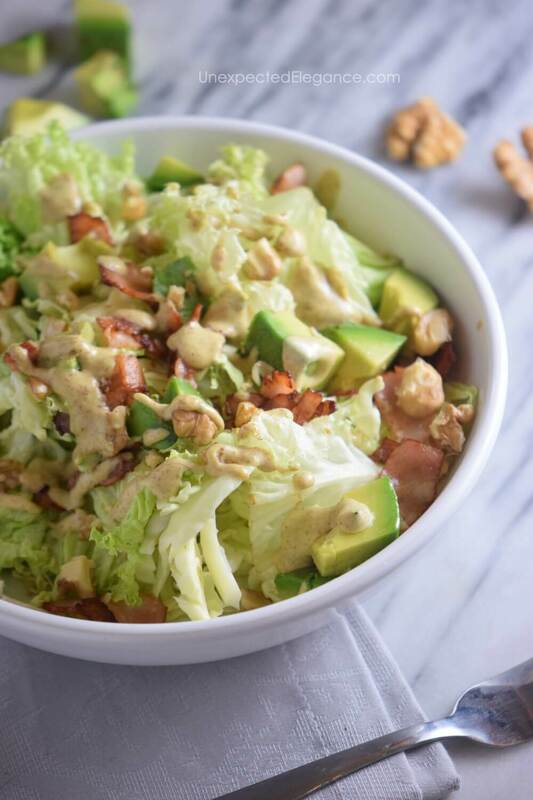 The best part is that the homemade honey mustard dressing is easy to whip together. Prepare the honey mustard dressing. Mix the honey with the mustard until creamy. Add the mayo and whip up for 2 minutes. Add the salt, pepper and white vinegar and mix until everything is well incorporated. Set aside. 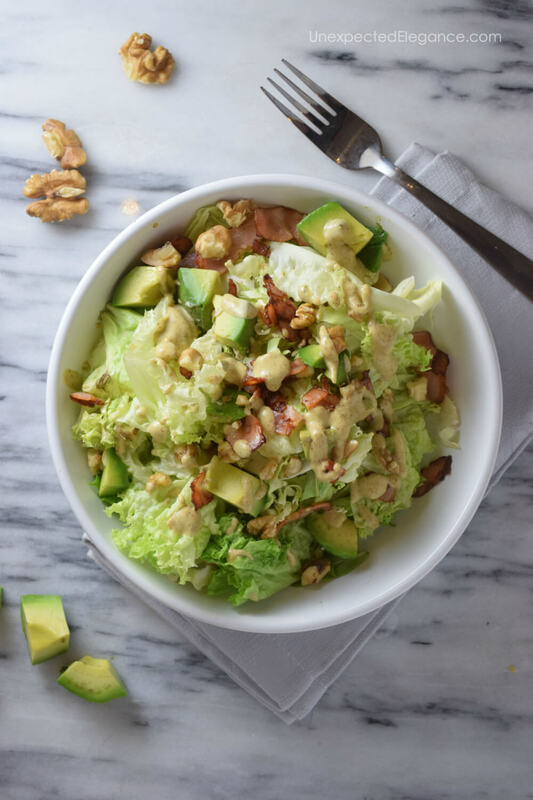 In a big bowl add the chopped lettuce, the diced avocado, the bacon and the walnuts. Drizzle with the honey mustard. Mustard. I agree on the mustard.